Pope Francis on October 16 received the Grand Imam of Egypt’s prestigious Al-Azhar Mosque. 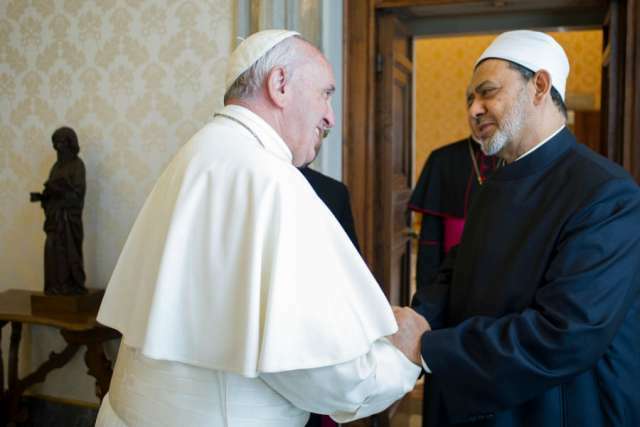 Pope Francis received the Grand Imam of the prestigious Muslim al-Azhar Mosque of Egypt, Prof. Ahmad Muhammad Al-Tayyib, in a private visit, Tuesday afternoon, at the Casa Santa Marta in the Vatican, the Holy See’s Press Office said in a brief note. The two spiritual leaders have met a few times before, most importantly when the Pope visited Egypt, 28-29 April, 2017, on the invitation of the Grand Imam.